Back pain affects about 80% of adults at some time in their lives. Neck pain (or cervicalgia) is a common problem, with two-thirds of the population having neck pain at some. It is estimated that 1% of the entire US population suffers from chronic headaches as the result of auto accident injuries otherwise known as whiplash. An occupational injury is bodily damage resulting from working. The most usual organs involved are the spine, hands, the head, lungs, eyes, skeleton, and skin. Cold laser therapy has been instrumental in helping many people across the world to not only manage their pain, but relieve it as well. Massage therapy has been proven to help pain relief in multiple areas of the body, as well as having great relaxation and de-stressing properties. Walk ins Welcome at Lacey’s Top Chiropractor. Appointment’s available too. At Warwick Chiropractic of Lacey Olympia WA, our goal is to reduce the PAIN and get you the RELIEF you need in the fewest visits possible. 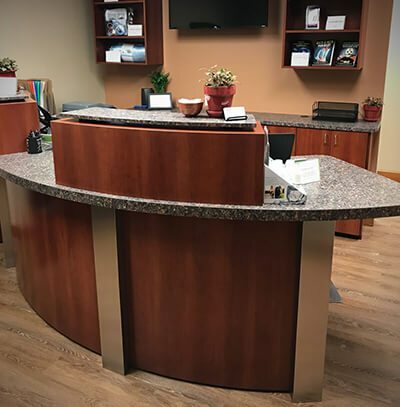 Our top rated chiropractor in Lacey, Olympia WA operates a walk-in chiropractic office meaning no appointment is needed, but you are free to make one should you wish. When you search for a chiropractor near me, we aim to be the chiropractor that will help you. Dr. David Warwick uses a variety of treatments including neuro-muscular-skeletal analysis and treatment, tissue release, and traction modalities. The multi-discipline approach to your care includes chiropractic, and can include massage therapy and other referred specialties. Dr. David Warwick is your top rated Lacey WA Chiropractic care specialist. Together Dr. David Warwick and Team can help you feel better! Contact Dr. David Warwick today! Are you having pain in your Neck and/or Back? Are you having Headaches? Numbness or Tingling? Sciatica? Shoulder, Arm, or Leg Pain? Headaches? Maybe from a Motor Vehicle Collision, Work or Sport Injury? At Warwick Chiropractic in Olympia WA, our goal is to reduce the PAIN and get you the RELIEF you need in the fewest visits possible. Many problems that cause pain are related to misalignment’s, spinal, joint, or disk injuries which can cause a pinched nerve. This leads to tissue and muscle damage which can then lead to arthritis or degeneration in your overall ability to function. Many problems like poor posture, motor vehicle collisions, work, sport or weekend-warrior injuries can lead to long term spinal damage (vertebral subluxations) or “misalignment’s” causing sharp, dull, aching, stabbing, radiating, numbness and/or tingling. It can be exhausting leading to headaches or fatigue. Left untreated, the spine which is comprised of spinal bones, disks, ligaments, nerves and muscles can degenerate. Misalignment’s can also occur in your shoulders, elbows, hands, hips, knees and feet. Chiropractic care can reduce or eliminate the pain by realigning the spinal or bones taking the pressure off the nerves, move more naturally, and allow your body to heal. Our chiropractic office has helped hundreds of people over the years to reduce pain and to live their lives again to the full. In turn, this has generated hundred’s a 5 star Google reviews, making us by far the best chiropractor in Lacey WA. Contact us today. Our team is friendly, knowledgeable and helpful. follow the prompts to schedule your appointment. We can also offer some expanded services for you in our new office! Dr. Warwick is providing cold laser therapy, either in conjunction with chiropractic or on it’s own. Cold lasers are FDA approved, and Dr. Warwick has received advanced training in their use. Low level cold lasers have proven their effectiveness in reducing inflammation, joint pain, arthritis, plantar fascitis, neuropathy, and more. In combination with other forms of therapy such as chiropractic, cold laser therapy can be even more effective in enabling the patient to get out of pain quicker and enabling them to lead active lives again. We can also offer Massage Therapy at our practice here in Lacey Olympia WA, with our highly trained massage therapists, who between them offer a range of massage therapy on Mondays through Thursdays. You can learn more on our sister Warwick Massage site, or to make an appointment, simply use our online appointment system or call us 360-951-4504. Call 360-951-4504 to schedule a chiropractic, cold laser, or massage appointment today in our office in Lacey, WA. Or why not try all three?! Remember, Warwick Chiropractic is Lacey’s number 1 rated chiropractor. Our Google reviews prove this. Simply search chiropractor near me and we will be there! I've seen a chiropractor before and the chiropractor I was seeing, wasn't the right fit for me and what my body needed. After working for Dr. Warwick for a couple of months, I decided to get on his table. I'm so thankful I did and was able to. He's very knowledgeable, and compassionate. Working for WC&M these last couple of months has been really great! I am continuously learning more every day. Office management owers and massage therapist are very helpful not only to me during my training, but to everyone that walks in the door. I'm truly thankful for the opportunity to work with these amazing individuals, and of course, the patients! It's such a welcoming environment and I couldn't be happier! Dr. Warwick and staff are always so nice to deal with. He is thorough and no pushy. I have always dubbed him my favorite chiropractor out of the dozen I have seen in past. I will always come back to him. Thank you for helping keep me moving. Big thumbs up for taking walk-ins, decent pricing, and answering the phone. Both my husband and I were seen at the same time. I felt well cared for and left with a smiling. Definitely look forward to coming back. Prefer Short Term Chiropractic Care for Your Back or Neck Pain? At Warwick Chiropractic, our goal is to reduce the PAIN and get you the RELIEF you need in the fewest visits possible. Our commitment to you… provide short-term Chiropractic care for neck and back pain.